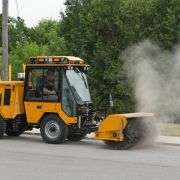 The sweeper core is composed of replaceable poly and wire bristles which are safe to use on cobblestone, inlaid brick walkways or other delicate surfaces such as detectable warning surfaces or tactile sidewalks. 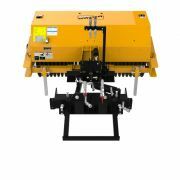 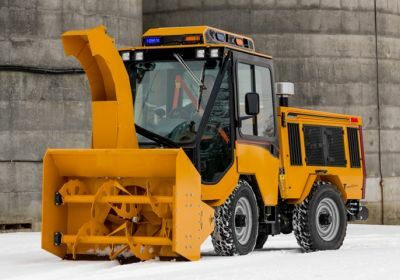 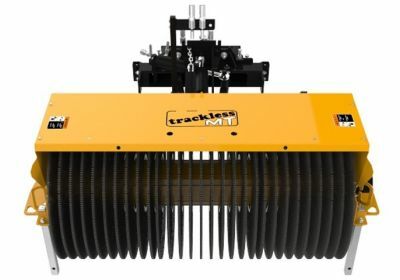 The high output hydraulics of the Trackless MT directly drives the broom head while a relief valve protects the core from twisting in overload conditions. 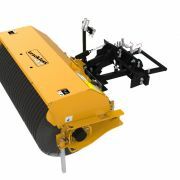 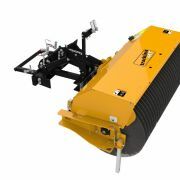 The scissor frame is designed to automatically center the sweeping pattern in front of the tractor as the broom is angled. 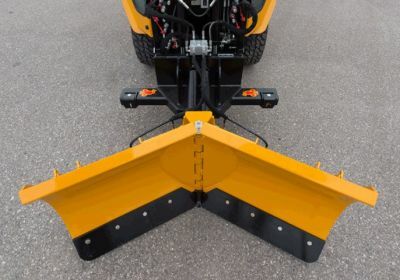 Color coded quick couplers and integrated storage stands contribute to the attachments ease of use. 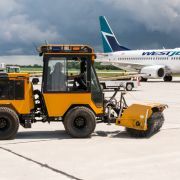 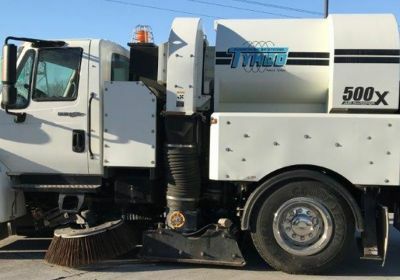 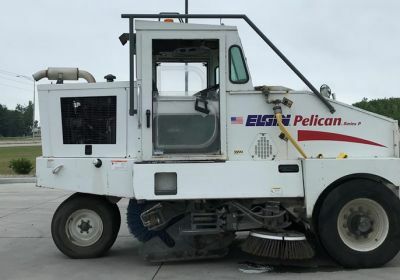 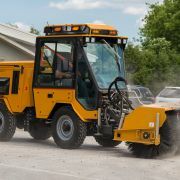 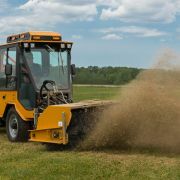 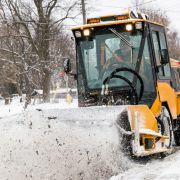 In addition to sweeping sand, gravel or other debris from sidewalks, parking lots, cul de sacs, intersections or other confined areas, the sweeper can also be used to dethatch large lawns and playing fields in the summer or remove snow from sidewalks in the winter.